4 Pcs Wok Set. 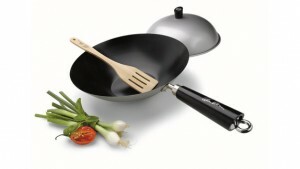 Non-stick coated wok with lid, spatula and recipe book. Carbon Steel.